Governor Kelly vetoed SB 22 in order to prevent Kansans from keeping the federal tax break they received from the Tax Cuts and Job Act. Sign the petition by texting “override” to 555888! 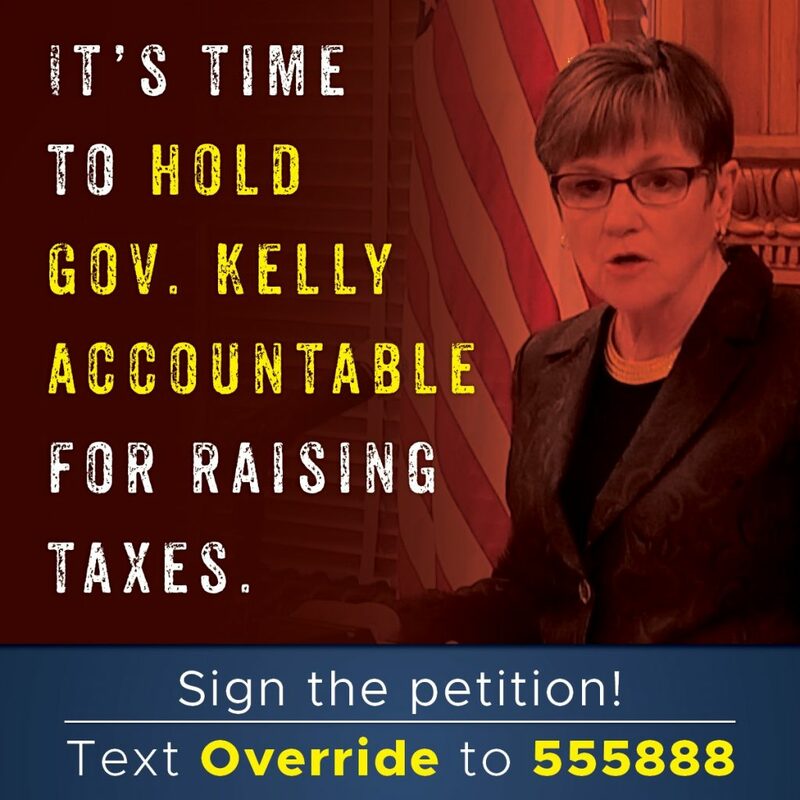 Tell our legislators to override Governor Kelly’s veto! Paid for by Kansas Republican Party, Mike Kuckelman, Chair.